We build A Class Carbide Tooling and offer burr free metal and plastic stamping. We build Progressive, Forming, Piercing, Compound and Blanking type of Carbide dies. We stamp for medical, optical, electronic, semiconductor, telecommunication and valve manufacturing industries. 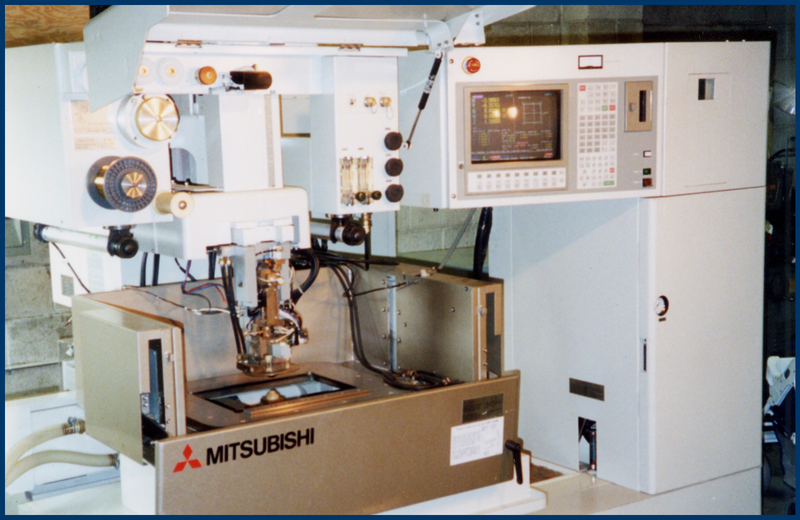 Our machinery includes 7 presses, grinders, lathes, wire EDM and other types of machinery. 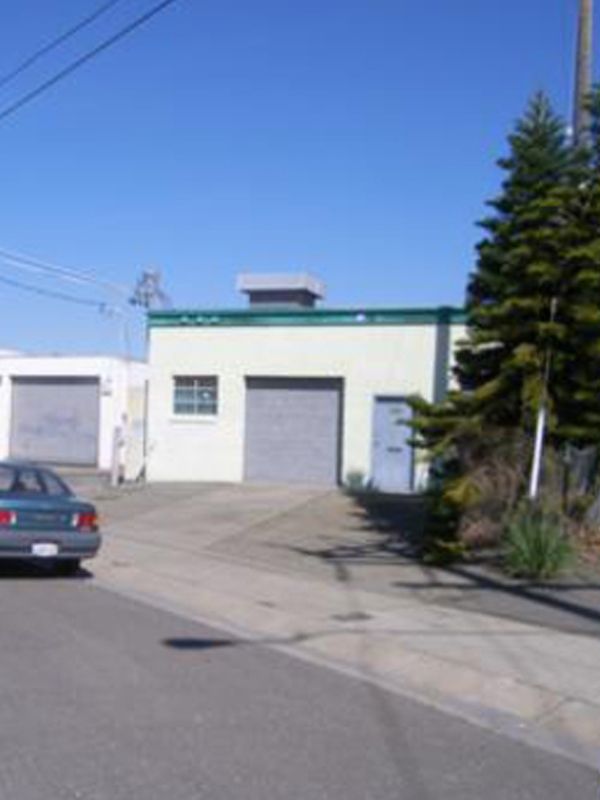 We are Precision Tool & Die Company, second generation, family owned and operated for over 50 years. Since our beginning in 1949, we have gained a reputation for doing some of the most precision, headache stamping jobs in America.We offer burr free metal and plastic stamping in .0005" to 0.062" materials with holes down to .001" in foil stock. We are the only company in America (that we know of) that stamps "burr free" Teflon and Tefzel material. 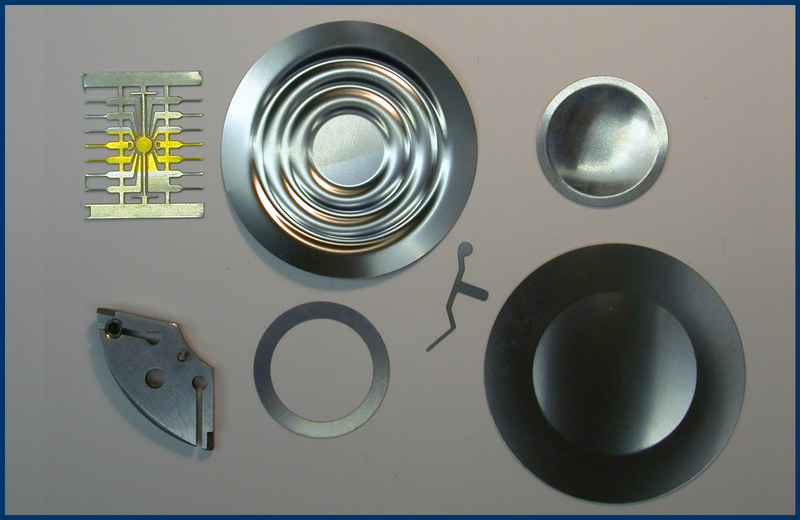 We use state of the art Die-Protection Sensors and design our tooling for optimal flexibility and changes. With the versatility of station isolation and inserts (frequently carbide into carbide) plus prospective idle stations, our tooling design offers the providential options for "design change". Our A Class Carbide Tooling is guaranteed for "infinite life" and excellent parts. You never buy more than one tool for the job, regardless of volume. Based on our many years of experience in designing, building and running Progressive, Forming, Piercing, Compound and Blanking type of Carbide dies, the quality of our machinery and presses, and our expertise in stamping, we would like to do an excellent job for you. 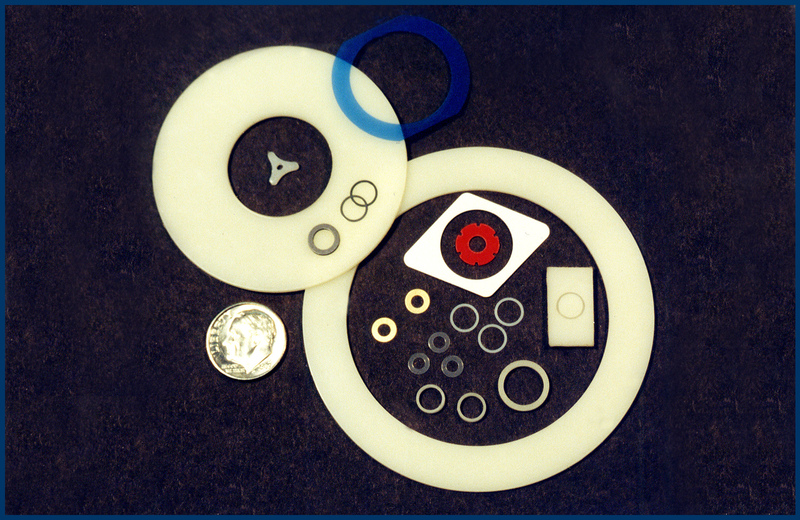 Over the years we have stamped for Medical, Optical, Electronic, Semiconductor, Telecommunication and Valve Manufacturing industries.